Kohleun is an adventurous herbivore who will travel anywhere that serves good coffee, kombucha, and vegan barbecue. As a casual yogi, she likes to do the salamba sirsasana pose—a supported headstand—in surprising places, like the Iowa Capitol Building and at Alhambra in Spain. Meditating at a busy airport is a skill Kohleun wants to master in 2018, so send good vibes her way. As the year comes to a close, we’re all looking forward to starting 2018 on the right foot. Have you promised to eat more fruits and veggies next year, or to conquer your fear of heights and take up mountain climbing? Whether you make New Year’s resolutions or you’re simply a mindful traveler in general, you may be wary of planning a trip to someplace new—away from your neighborhood market and favorite juice bar. Going on vacation doesn’t have to derail your best intentions, though! In fact, some destinations make maintaining your healthy, active lifestyle as easy as taking a stroll in the park. To help you travel at your best, we’ve picked 15 health-conscious cities where you can stay fit, eat healthy, and practice your most important self-care habits while on vacation. While there’s a lot of conversation around the question, “Where is the healthiest place to live in the U.S.?” we wanted to know where to find the healthiest places to travel. From smallest to largest based on population at the 2010 Census, we’ve outlined the top 15 American destinations with the best parks and outdoor activity spaces referencing the Trust for Public Land’s ParkScore.org, healthy food options for various dietary needs, wellness-focused spas, local health and wellness meetups, and fitness centers and studios with drop-in classes and workshops*. Pack clothes that let you move and get ready to get a fresh start on a brand-new year. The following cities are all about living the good life. *Check out our methodology for more insights. Take a deep breath of the clean Wyoming air and you’ll be convinced, Cheyenne is the perfect place for some serious refreshment. This may be the smallest city on this list, but the number of fitness centers per capita—more than 32.8 yoga studios, gyms, and fitness pools per 100,000 people—is impressive. The city’s winning feature is the 37-mile Greater Cheyenne Greenway, which connects parks and neighborhoods throughout the area with gorgeous cycling and hiking paths that have earned Cheyenne the nickname City of Trails. The dining scene in this region is rustic and hearty. It may not be what comes to mind when you think of health food, but this agrarian community serves up fresh and local fare. Order the Wellness Shot at Rubyjuice—made with lemon, lime, celery, ginger, and cayenne—and get your fruits and veggies fix on your way to a wellness consultation at Wyoming Health Fairs, or join one of the meditation meetups in town. If you seek solitude to energize your mindfulness, take a drive out to Curt Gowdy State Park and steep your senses in the Wyoming wilderness. Known for its adobe skyline, chile-laden cuisine, and earthy arts community, New Mexico’s capital city is enchanting and unique. It’s also famous for its culture of wellness. With over 94 parks in the area, covering 3,108.5 acres of mountainous land, Santa Fe is a beautiful place to commune with nature, and to get some serious outdoor exercise. Hike the trails at nearby Hyde Memorial State Park, ride a raft down the Rio Grande, or ski the scenic slopes while Santa Fe is in winter wonderland mode. When you want to bring that workout or meditation indoors, stop at Santa Fe Community Yoga for drop-in yoga classes, support, and education, all in a family-like group setting. In addition to the richness of traditional New Mexican cuisine, vegetarian, vegan, and gluten-free options are readily available here. Refuel on fusion food at Annapurna’s World Vegetarian Café, or prepare for a new day with clean eats at The Teahouse. Their cauliflower Caesar wrap and hot matcha are a match made in vegan heaven—perfect prep for your visit to Sunrise Springs Spa Resort, an all-inclusive spa accommodation with a licensed marriage and family therapist on staff offering life consultations and enhancement. Get a healthy dose of vitamin D along Fort Lauderdale’s 23 miles of beaches—that’s a lot of surfing, swimming, and paddle boarding. Earlier this year, Fort Lauderdale came in at number 14 for fitness on a study published by Wallet Hub. That’s because you can take your pick of affordable fitness classes from yoga or spinning studios, CrossFit gyms, and pole fitness centers, all in the same city. The central neighborhoods—including downtown, Colee Hammock, and Flagler Heights—are also very walkable, making it even easier to stay active while exploring the city. Around here, dining and cooking is as refreshing as taking a dip in the Atlantic. Green Bar + Kitchen is an herbivore’s delight, and many of the menu items are gluten-free, like the Power Salad topped with scrumptious truffle dressing. If your main dietary preference is farm-fresh, try The Alchemist, a coffee shop and café with outdoor seating and family-friendly vibes. You’ll find several spa options in Fort Lauderdale, and Lifestream Spa & Boutique is a standout, as it features local art and fashion designers, and serves an amazing tea selection. The trails in and around Santa Clarita are enviable, and Hike Santa Clarita is an awesome resource for residents and visitors of all skill levels. Take advantage of the year-round sunshine and get outside, or drop in for a yoga flow at Villa Vibes Yoga, where they believe “Yoga is for everyone,” all bodies, all ages. Staying in Santa Clarita also gives you access to many of the community meetups in the L.A. area, including a Laughter Yoga group in Northridge. For an extra unique therapeutic experience, make sure you book some time on the water at Elevate Float Center. You’ll feel weightless and undistracted by the world, perfect for muscle relaxation and meditation. There’s a lot of talk about the “Santa Clarita Diet,” but let us assure you: this SoCal city eats its veggies. Phew! Now that’s cleared up, here’s the scoop. The food M.O. around here could be summed up as multicultural cuisine with a focus on fresh fixings. Santa Clarita may not have many niche restaurants, but a lot of their restaurants have options for vegans, gluten-free, and paleo diners. The name of Eat Real Café says it all, really. With two locations in the area—in Newhall and Valencia—these whole-food eateries make their food without hormones, additives, or processed ingredients, and vegan and gluten-free options are plentiful, too. It should come as no surprise that Salt Lake City is home to active, health-conscious residents. After all, it came in second on Wallet Hub’s health list, thanks to awesome indoor and outdoor fitness opps, gorgeous greenspace, and oh, so many delicious dining options. SLC is also home to several parks, and a portion of the city includes the Wasatch Range with lots of room for mountain biking, hiking, skiing, and crystal searching. You can also plan your visit around the semiannual Downtown Yoga Festival, which brings yogis from all over the world together for multi-day events and workshops. If you miss the yoga festivities, don’t worry! There’s plenty of things to do in Salt Lake City. Multiple times a year, Salt City Wellness offers mindfulness and yoga workshops, and you can always join a wide variety of health and wellness meetups or retreat to the spa for some TLC. For a vegan experience inside and out, pair the Rejuvenate facial at Basalt Day Spa with a meal at Frisch Compassionate Eatery, a plant-based cafe that whips up a variety of vegan wraps and salads. Hungry for more? At Oasis Café, whole eats take center plate with lots of gluten-free and vegan variations. When you’re ready to indulge a little, order the braised mushroom risotto at Seasons Plant Based Bistro. Yeah, you’re welcome. It sure gets hot in Central Arizona, but that doesn’t stop Scottsdale from being one of the fittest cities in the U.S. You know what they say about a dry heat: That’s nothing a little sweat won’t fix. There’s no better way to see the splendor of the Sonoran Desert than exploring it yourself. Join one of the local meetups and go rafting through the Upper Salt River Canyon or hiking the nearby Tonto National Forest. In the middle of a beautiful summer getaway, dropping in at an air-conditioned gym will be the perfect way to start the day. Off the Grid Fitness gets great reviews and it’s the first eco-friendly gym in Arizona. Be good to your body and the planet at the same time—win, win! Scottsdale should really be called Spa-dale, because it has the highest number of spas per capita in the country, and they are considered among the best in the world. So, if there were ever a place to treat yourself, that would be here! Joya Spa at the Omni Scottsdale Resort & Spa at the Montelucia includes a Moroccan hammam, massage services, and rooftop pools. Follow up this rejuvenating experience with mindful meals, like the Lotus Salad at vegetarian eatery Fresh Mint, or refresh with a shot of Joy, one of the signature elixirs from Juice Core. Bottoms up! Thanks to an abundance of greenspace and a ParkScore that beats out bigger cities like Philadelphia, Boise boasts clean air and outdoor adventures for all ages. When you can’t decide between hiking Boise River Greenbelt and biking through the hills, consult Ridge to River, the city’s local trail authority and resource. Follow a challenging ride with some body-loving yoga and meditation at Sage Wellness & Yoga, which offers wellness services, drop-in classes, and workshops. Meetup groups like Women, Wine, & Wellness sum up Boise’s healthy and playful culture perfectly. You’ll find lots of small indie boutiques and spas here, and Spa Urbana is a local favorite downtown. You might be tempted to request the Espresso Mud Body Treatment as a snack—it smells that good. Speaking of snacks, if you’re traveling with friends and family who have very different dietary preferences, get a table at BBQ4LIFE, where paleo people and vegans can sit at the same table. The menu is split between traditional meat barbecue and unconventional vegan barbecue dishes with hearty sides. Looking for something a little less saucy? Fresh Healthy Café is true to their name with locally sourced dining and groceries. They’ll even deliver to your hotel! Located on the western banks of the Potomac River, Arlington is more than Washington, D.C.’s historical neighbor. This county is home to one of the best park systems in the U.S. with over 1,100 acres of greenspace, 75 miles of trails, and ample recreation facilities for seniors and families with children. In fact, Arlington’s ParkScore ranks #6 in the country, surpassing New York City and Chicago—no big deal. For a scenic hike or bike ride, lace up your shoes and head to Washington & Old Dominion Railroad Regional Park. It may be only 100 feet wide, but it’s 45 miles long, so don’t worry—you’ll get your exercise! Arlington’s wellness community takes a special interest in yoga, meditation, and mental health support. Join them for a meetup or soak up the good vibes at a health-centric spa, like Origins Thai Spa, which uses ancient techniques and modern amenities in an elegant space. Find energy for your journey at one of the many healthy dining options in the region. We had some trouble deciding between the Shroomami bowl and Spicy Sabzi salad at sweetgreen, a small chain with salads and bowls full of veggies, grains, and deliciousness. Lincoln is a good reminder that the healthiest experiences can be found in surprising places. This Nebraska city may be known for its craft beer and acres upon acres of corn, but it’s also a fantastic place to keep your wellness resolutions. Why? For starters, over 33 percent of residents live within a 10-minute walk to a park, which is an uncommon statistic. This means that wherever you stay, you’re likely to be a short stroll from fresh air, peaceful greenspace, or your own open-air workout space. Lincoln is one of those places where you’ll find few specialty eateries, but there’s always something vegan, gluten-free, or simply balanced and fresh on any menu. The pasta primavera is even vegan at the old-school Italian place Vincenzo’s. Maggie’s Vegetarian Wraps is our favorite lunch spot, and there’s nothing quite like the nut meat tacos, made with seasoned walnuts. Try it! For a positive community feeling away from home, you’ve got to spend some time at the Lincoln Zen Center for group meditation. Lincoln’s slower pace will help you find your center, so take a deep breath and enjoy. To call Aurora a sleepy suburb of Denver would be a huge misnomer. The Gateway to the Rockies is a city in its own right, and a fit one at that. Explore the nearby wildlife and nature preserves, including Rocky Mountain Arsenal National Wildlife Refuge and Cherry Creek State Park. Hike, bike, or paddle your way to a healthy vacation. If your vacation mantra is “sweat hard, travel easy,” you’re in luck! CrossFit is especially popular in this area and Lowry CrossFit keeps raking in glowing reviews. As for traveling easy, Aurora is home to several locally loved Chinese massage spas to help you heal after intense muscle-building workouts. If you’re all about greens, then look no further than MAD Greens. This southwest chain serves inventive salads, wraps, soups, and juice with options for many dietary preferences. ProteinHouse is an obvious choice for Paleo and low-carb fans, with plant-based options available, like the Power Wrap. Who wouldn’t feel awesome ordering that? Oh, and by the way, wellness is all about moderation and being kind to yourself, so a pint of Apricot Blonde from Dry Dock Brewing Co. sounds like local self-care to us. What is your health if it doesn’t enable you to live happily? Well, in Honolulu wellbeing and joy go hand in hand. In eighth place on Wallet Hub’s study and considered one of the happiest and healthiest cities in America by Prevention Magazine, this island destination is bound to make you smile. Fill your itinerary with Honolulu activities and outdoor fitness opportunities. Grab some gear and climb at Watershed Forest Reserve on the north side of the city or drop in at one of the numerous fitness centers and yoga studios in the city. With the Pacific Ocean at your doorstep, you might want to skip the gym and join a surf school instead! Big Wave Dave Surf Co. is one of the top surf authorities in the area. Experience the aloha of Hawaii with some body-loving eats and warm hospitality. Peace Café is all about home cooking with vegan ingredients, and we would drink the peanut sauce they put on the Hanoi sandwich if we could. Perfect for multi-tasking explorers, Hiking Hawaii Café serves healthy food for people on the go. They also offer tours and visitor info! If you haven’t gotten enough of Honolulu’s relaxing vibes, turn things down a notch at Still & Moving Center, a unique retreat and yoga center that offers massage as well. More conventional spas can be found at major resorts, like Nā Ho‘ōla Spa at Hyatt Regency Waikiki Resort & Spa. We have a serious crush on this Minnesota metropolis. Where else can you hike to waterfalls or paddle around a peaceful lake, all within the city limits? If their #1 rank on ParkScore is any indication, not many other places at all. No matter when you travel, you can stretch your legs and everything else in the great outdoors—even during winter when snow shoeing, skiing, and hockey are popular. Minnehaha Regional Park and Lake Nokomis are perfect for peaceful reflection or serious exercise. It’s up to you! Pack for a plant-based picnic in the park at The Herbivorous Butcher, where a sister and brother team have perfected the art of gourmet vegan deli goods. Non-vegans might think they’re eating conventional meats and cheese, but you’ll know better. Fill up on farm-to-table goodness at Wise Acre Eatery. Many of their brunches can be revised for a vegetarian, vegan, or gluten-free palate and the seasonal salads will change your life. If you’re feeling in particular need of some life changes, start with some self-love at Sabai Body Temple, a gorgeous spa where the guiding principle is “worship yourself.” Sounds about right. Portland is hands down one of the healthiest cities for locals in the U.S. The roadways and businesses are bike-friendly, outdoor activities in Portland are readily accessible, Forest Park is one of the largest urban parks in the U.S., and you can always count on Portland to bring the organic, non-GMO goodies to the party. We aren’t the only ones who think so either! Ranking in fifth place on both Wallet Hub’s report and ParkScore, there’s no arguing the fact that Portland stays weird and well. It’s so easy to eat vegan, raw, gluten-free, or paleo here. In fact, there are actual paleo restaurants, like the meat-first Cultured Caveman. On the other side of the dining spectrum, Farm Spirit dishes up vegan and vegetarian cuisine that’s as refreshing as it is pretty! And did we mention it’s an under-the-radar spa destination? Licensed massage therapists have filled the city with unique spas, like the elegant SANTÉ Aesthetics & Wellness and Mudra Massage, which is a favorite among people with injuries and special therapeutic needs. We’re pretty sure cozying up in one of Rose City’s indie coffee houses is therapeutic in its own way, too. We don’t need to tell you Seattle makes it easy to pursue your wellness goals. This city is bike-friendly and pedestrian-friendly, and the fitness community features lots of interesting opportunities, including several pole fitness gyms. Pole Fitness Seattle is a local favorite and one of the best core workouts we’ve ever encountered. If you prefer quiet meditation to acrobatics, check out the many Seattle meetups that practice meditation and emotional support. If you get a chance to view the city from the observation deck of the Space Needle, one thing will be vividly clear. Seattle is a green city, in more ways than one! First of all, Emerald City happens to have a great ParkScore, ranking #11, and some of the prettiest walking and running trails are located in Green Lake on the north side of town. 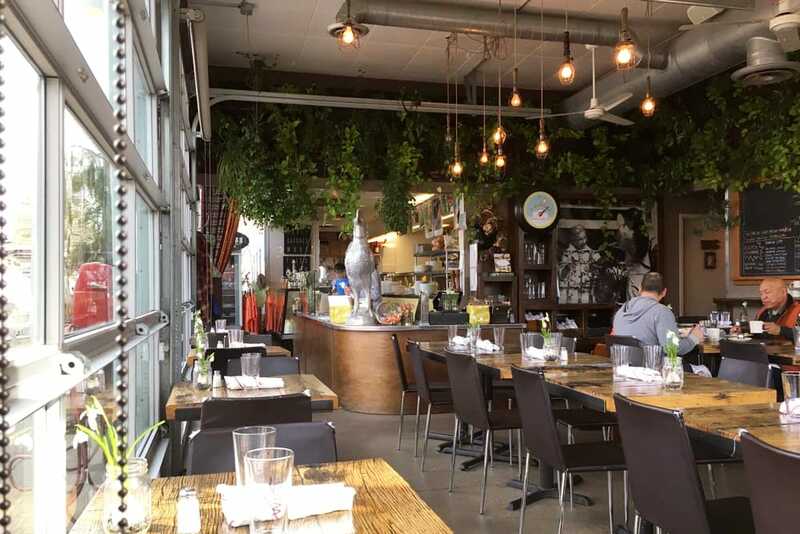 Closer to downtown, The Bounty Kitchen in Queen Anne serves a variety of dishes, all locally grown, organic, and very fresh. Is a massage or body treatment your ideal dessert? Dreamscape Massage is a favorite and they’re all about massage, so skip the cosmetic and chemical treatments. The biggest city on our Wellness Report is also the top-ranking metropolis among health authorities. While fitness centers may be relatively expensive and scarce per capita, ample parks and a variety of things to do in San Francisco help locals and travelers keep moving year-round. Whether you run in the world-famous Golden Gate Park or swim from San Francisco to Alcatraz, you’ll be keeping good company. Plus, the City by the Bay ranks third among the nation’s ParkScores thanks in part to its numerous playgrounds, which make promoting health and wellness to the kiddos that much easier. Healthy foodies rejoice! San Francisco’s culinary selection is a smorgasbord for global flavors and attentive chefs who cater their menus to various sensitivities and lifestyles. Standout eateries include Seed + Salt, a vegan and gluten-free bakery with croissants you won’t believe aren’t made with butter…or conventional flour for that matter. Any Californian will tell you, around here, it’s about the burritos. Dine at Gracias Madre for healthy, and sometimes indulgent, vegan Mexican cuisine that turns time-honored recipes into cruelty-free, herbivorous meals. We’re obsessed with the Col Rizada salad, because chipotle dressing makes everything better. Fitness: We take into account the quantity and variety of fitness facilities per capita according to the 2010 Census. We consider the size of the city as well as the easy access to outdoor activities, like hiking, surfing, and cycling. Even a small destination can earn five points if they have nearby recreation and a variety of fitness options. Offering drop-in classes for travelers is a must. Greenspace: We take The Trust for Public Land’s ParkScore into account for this rating and to inspire further research of the region. Square acreage of parkland is a plus, but we focus more on the amenities and recreation opportunities provided for travelers of all fitness levels. Even an urban city can score well with a great park system or trails nearby. Food: “Healthy” food means something different to each person. We gave the highest ratings to cities that cater to a variety of health-related dietary needs, specifically vegan and vegetarian, paleo, gluten-free, organic, and locally sourced. Cities with niche eateries score especially well. Spas: Spa treatments are important for both physical and mental wellness. In this category, we followed the mantra “quality over quantity,” looking to cities with a health-focused spa culture that incorporates massage therapy, natural products, and licensed counselors and therapists to offer life consultations. Wellness centers that don’t offer body treatments are also considered part of this category. Groups and events: This is particularly useful for travelers who utilize Meetup, the online group-building platform. We take into account the variety and quantity of local meetups on topics including wellness, meditation, healthy eating, exercise, and emotional support. This rating is also boosted by community organizations and clubs as well as the quality of workshop and event options for the health-inclined.